The Eton Choirbook This course is over! Escape the fireworks this autumn in the tranquillity of the Italian medieval hill town of Triora, nestling in the Ligurian Maritime Alps, but only just over an hour’s drive from Nice airport. Following the huge success of previous courses run by Brighton Consort, Triora Musica is now established as a separate organisation, while maintaining its links with Brighton Consort. While several courses will continue to be run for mixed ability groups, there will also be courses to allow more experienced singers to explore more challenging repertoire, and to work in smaller groups. There will therefore be some selection for this course. Most singers will be regular members of choirs and capable of holding a part alone. The application form asks for details of experience. You are also welcome to send a tape or CD. 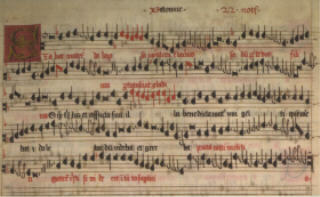 The Eton Choirbook, possibly one of the finest collections of English music to have survived, represents the ornate and florid style prevelent at the turn of the 15th and 16th centuries. Its demanding style suits agile, clear voices and requires a good reading ability. As the English choir was originally divided into 5 voice types, there are parts for: high sopranos, mezzos/altos, counter tenors, high tenors (both male and female are welcome!) lower tenors/baritones and basses. Music will be selected to fit the composition of the final mix of participants, and will be sent out in advance. The course begins on the Thursday evening and ends after breakfast on the Monday. There will be a final concert on the Sunday evening, and owing to the late flights on Monday, a further chance to explore Triora and the surrounding country on the Monday morning. Accommodation and full board will vary according to whether you are sharing a room; single € 280, double € 260, triple € 240. There are no flights from Stansted on the Thursday or Monday. There are earlier and later flights from Luton, but those selecting them would need to contact us about getting to and from Triora. We would advise you to book your flights early in order to get the lowest prices. Available now! !